School is the “workplace” for children and adolescents. Successful school performance is essential for psychological growth and development. Social competency and social skills are developed, then shaped within the family and in school but practiced and mastered in school. Thus, development of a positive self-image and self-esteem is based on successes in school. Feedback from school concerning academic performance and social interactions influences parents’ images of their sons or daughters. Thus, if something interferes with success in school, the impact will affect the emotional, social, and family functioning of this individual. Learning Disabilities (LD) and/or Attention Deficit Hyperactivity Disorder (ADHD) are two major reasons children and adolescents might do poorly in school. Each is a different disorder with unique areas of difficulty, etiology, diagnostic process, and treatment. It is estimated that between five and ten percent of all students will have LD and that between three and five percent of all students will have ADHD. These are not uncommon disorders. As professionals, it is critical that you recognize the behaviors and clinical findings that would suggest such problems and that you know how to help parents as they seek the necessary evaluations to confirm the diagnosis and get appropriate interventions. Your diagnostic skills, guidance, and advocacy are essential. Early recognition and intervention are critical. The price for the individual when these disorders are not recognized is significant and can last a lifetime. This information will help you help the patients in your practice. A learning disability is a neurologically-based processing disorder resulting from “faulty” wiring in the cortex. Depending on what part of the cortex is affected, the student will have problems with learning, language, and/or motor function. These processing difficulties might involve understanding or using language, spoken or written, resulting in an imperfect ability to listen, think, speak, read, write, spell, or do mathematical calculations. Individuals with learning disabilities are of at least average intellectual ability or higher. They struggle in school because of these processing problems. Learning disabilities might impact learning to read, write, or do basic math or reading comprehension, written language, or more complex math. Learning disabilities might impact the student’s ability to organize materials and thoughts or to plan a task and carry out that plan. Thus, some problems are apparent in the earliest school years; some are not apparent until late elementary school; and still others show up in middle or high school. In any grade, the presenting problem is struggling with school work, possibly with failing grades. You might hear that homework is a battle every night. Unfortunately, some teachers and parents blame the victim. They complain that your patient is lazy or unmotivated. But, if you know what to ask, you will find that there are reasons for these struggles. It may be tempting to reassure parents by saying, “don’t worry . . . he will outgrow it.” Please do not do this unless you are sure the problems reflect a developmental delay and you know they will fade with time. With LD, they do not. The “let’s wait” approach loses valuable time when intervention could be critical. Reading: Reading problems might involve learning to read. Here, the student must first learn to put letters and sounds together, blending the word. Later, words are recognized as a whole (sight reading). Finally, by third grade, individual words are not focused on; lines are scanned; and thoughts come into the brain, (reading comprehension). After third grade, students must be fluent readers so they can focus on content. Writing: Writing problems might involve handwriting. The student has a fine motor problem and writes slowly and with difficulty, often with a different grip. By third grade, the focus shifts to spelling, grammar, punctuation, and capitalization; and problems might be noted in these areas. Later, the focus is on composition and the richness of thoughts and words as well as an organized flow of thoughts. Math: Math starts with knowing numbers and then learning basic addition and subtraction. Later come multiplication and division and, still later, fractions, decimals, and other complex concepts. Some students might have difficulty understanding and learning these concepts. Others who might have difficulty with the written language aspect of math, such as putting the steps down on the page in the right place and in the right sequence, might make careless errors. Language Disability: A student with this disability might have difficulty quickly processing what is heard. Parents have to speak slower and get eye contact. Multiple instructions cannot be given. The child often misunderstands what is said. Some have difficulty when they speak. In a spontaneous situation where thoughts are organized before speaking, they do well. However, in a demand situation where they have to answer a question or explain something, they struggle to get their thoughts organized or find the right words. Motor Disability: A student with motor problems might have difficulty with fine motor planning (coloring, cutting, writing, buttoning, zipping, tying) and/or with gross motor planning (running, jumping). Some may have difficulty with visual-motor (eye-hand) activities required when doing certain visual spatial tasks or when catching or hitting a ball. In addition, this child might have difficulty with vestibular function, manifested by weak upper trunk muscles and possibly by difficulty learning to ride a bike. Finally, some may show tactile sensitivity, not liking to be held or cuddled or not liking cloths that are felt to be too rough. This total clinical picture of motor problems is called Sensory Integration Dysfunction. Parents might complain that their child or adolescent is doing poorly in school, getting bad grades, possibly acting out frustrations with inappropriate behaviors or by avoiding homework. This history is suggestive of a learning disability. A five minute ‘systems review’ can help you decide if more studies are needed. Much as in any systems review, the physician follows a logical set of questions based on known possible problems. Any positive answer leads to more in-depth questioning. A negative answer leads to the next general question. Start with questions relating to basic skills. Reading: Is reading something you like to do or have to do? How well do you read? Do you have trouble sounding out each word? Do you understand what you read? Do you ever skip words or lines or read the same lines twice? Do you get to the end of the page or chapter and not know what you have read? With older students, ask: Do you get papers back and find that you misread questions or instructions? Do you have problems with word problems in math? Writing: How is your handwriting? Do you prefer to print or to use cursive? Do you find that you cannot write as fast as you are thinking? When you look at what you have written, do you see errors in spelling, grammar, punctuation, or capitalization? Can you copy material from the board fast enough? With older students, ask: can you take notes as the teacher is talking? Can you write an organized paper with good thoughts? Math: Depending on grade level, ask if the student understands what the teacher is doing. Does the student know the times tables? Does he make mistakes like writing ‘21’ for ‘12’ or putting numbers in the wrong column? Is there a problem with word problems? Sequencing: When you speak or write, do you sometimes have difficulty getting everything in the right order? You might ask the child to name the months of the year. Then, ask what comes after May. Does she answer easily or does she need to go back to January and count forward? Ask if he has difficulty using the dictionary and remembering the order of the alphabet. Abstraction: Do you understand jokes when your friends tell them? Do you sometimes get confused when you hear something? Do people say that you did not understand what they said? Organization: What does your notebook look like? How about your binders and papers? Is everything falling out or in the wrong place? What about your desk? Backpack? Locker? Bedroom? Do you lose things or forget things? Do you do your homework but forget to turn it in? Do you have difficulty organizing your thoughts when you speak? When you write? Do you have problems planning time so that things get done? Memory: Do you find that you can learn something at night and then go to school the next day and forget what you learned? Do you learn best by listening to people or by reading? Once an LD is suspected, the diagnosis is established through a battery of testing called a Psycho-educational Evaluation. There are three parts to these studies. An IQ test. Of importance is the student’s intellectual potential plus any inconsistencies between each part of the test. A battery of achievement tests. To clarify where the student’s academic skills are. A test or group of tests looks at processing abilities or disabilities. These combined data usually clarify whether the individual has an LD and, if so, where the problems as well as the strengths are. 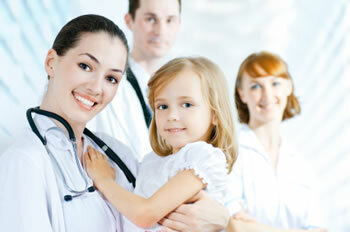 The results will also clarify the best interventions to use. Many school systems currently use a discrepancy model to decide if a student is eligible to receive services because of a learning disability. There must be a specific degree of difference between intellectual ability and performance. Thus, a student might have processing problems (a learning disability) but not be eligible for services because he or she is “not far enough behind to qualify.” When this happens, parents may have to find someone outside the school system to do the assessment. The public school system should do the psycho-educational evaluation. To facilitate this action, write a report explaining why your clinical findings suggest an LD. Have the parents give this report to the principal of their neighborhood school with their own letter requesting the testing. The principal should activate a meeting of school professionals to decide if they agree to do such testing. If they agree, the testing is done. If they do not, you might advise the parents to appeal this decision or to get the testing done privately. We do not know how to rewire the brain. Thus, the goal is habilitation. 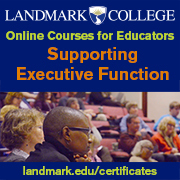 Professionals trained in areas of special education work on learning disabilities. Speech-language therapists work on language disabilities. Occupational therapists help with motor disabilities. These services should be provided by the school system either within general education or in a special education program. These interventions attempt to remediate those disabilities that can be improved by using specific approaches and to help the student develop compensatory strategies. In addition, it is essential that general education teachers know how to develop accommodations in the curriculum, teaching method, and environment so that the student can succeed using his abilities rather than be penalized because of his disabilities. Parents will also need to learn what accommodations they should provide when helping with homework. As with any other disorder, parents need to be educated. It is important to explain what LD is. Parents can be referred to organizations, websites or reading materials that will help. The Federal Law, The Individuals with Disabilities Education Act (IDEA), requires schools to recognize students who might be having difficulty. These students are to be screened. If problems are found, students are to be tested. 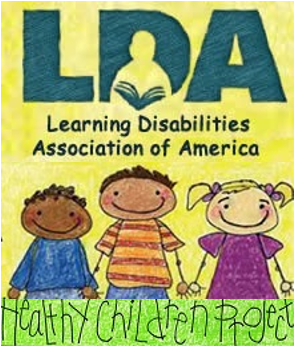 Following the testing, a team of professionals meets to see if the student meets the criteria to be eligible for identification as having a learning disability and, thus, eligible for services. Parents are to be part of each step of these processes. If a student qualifies, the school professionals develop an Individualized Education Program (IEP) and present it to the parents. This plan identifies the areas of difficulty, how each will be addressed, and how progress will be measured. If parents agree and sign this IEP, the plan is put into place. Academic and attentional problems result in school problems. They also impact the emotional status of the child or adolescent and the functioning of the family. Not uncommonly, there are also social problems. The consequences are serious and dysfunctional for the individual and the family. As with any other medical disorder, the price of missing the diagnosis and, thus, delaying treatment is significant and can have an impact throughout the person’s life. It is critical for the primary care physician to be aware of these disabilities and to know how to screen for their possible presence. Once such disabilities are suspected, a more detailed review should clarify whether further studies are needed. Once diagnosed, appropriate treatment must be started and monitored. Author: Dr. Larry Silver, a Child and Adolescent Psychiatrist, is in private practice in the Washington, D. C. area. He is Clinical Professor of Psychiatry at Georgetown University Medical Center. Prior to his current activities, he was Acting Director and Deputy Director of the National Institute of Mental Health of the National Institutes of Health. Prior to his positions at the National Institute of Mental Health he was Professor of Psychiatry, Professor of Pediatrics, and Chief of the Division of Child and Adolescent Psychiatry at the Robert Wood Johnson School of Medicine. For more than thirty years his primary areas of research, clinical, and teaching interest have focused on the psychological, social, and family impact of a group of related, neurologically-based disordersLearning Disabilities, Language Disabilities, Sensory Integration Dysfunction, and Attention Deficit Hyperactivity Disorder. 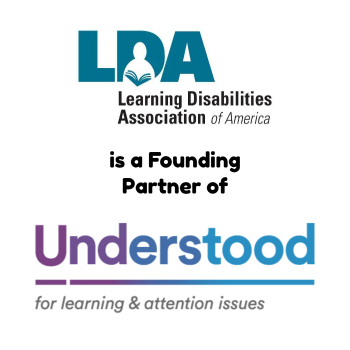 He has more than 150 publications, including the popular book, The Misunderstood Child: A Guide for Parents of Children with Learning Disabilities now in its third edition. 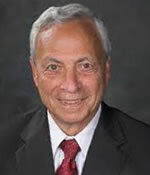 His other books include, Attention Deficit Hyperactivity Disorder: A Clinical Guide to Diagnosis and Treatment For Health and Mental Health Professionals in its second edition and Dr. Larry Silver’s Advice to Parents on Attention Deficit Hyperactivity Disorder in its second edition. He is active with the Learning Disabilities Association of America, and served as President for two years. In 1992 he received this Association’s highest award, The Learning Disabilities Association Award, for outstanding leadership in the field of Learning Disabilities. In 1996 he received the American Academy of Child and Adolescent Psychiatry’s Berman Lifetime Achievement Award for his contributions to the study and treatment of Learning Disabilities. The material presented here is from Dr. Silver’s book and offered via LDA with his permission. Watch for Dr. Silver’s Attention Deficit /Hyperactivity Disorder (ADHD) Information for Pediatricians and Other Physicians coming soon.